I’ve been a fan and follower of Chef Michael Richey’s culinary talents since back when he cooked up at Solitude Mountain Resort. 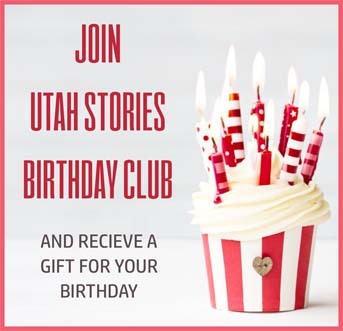 I enthusiastically reviewed his Fireside on Regent restaurant when it opened last year and still think it’s one of the best places to dine in downtown SLC. 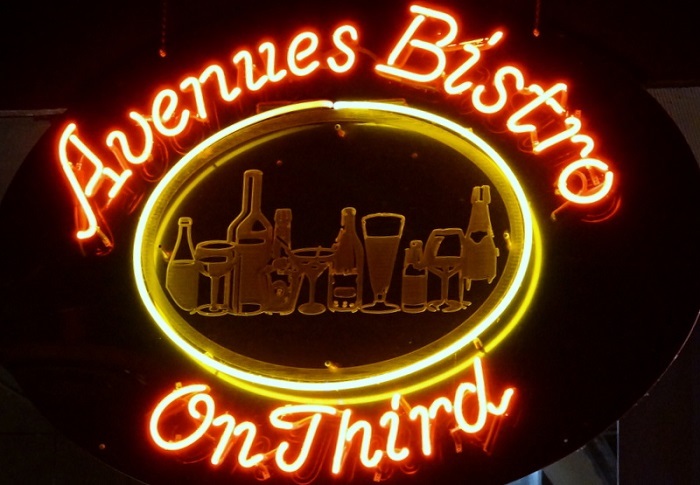 For many years I’ve also thought that Avenues Bistro on Third – operated by Kathie Chadbourne and her excellent staff – was hands-down the best place to eat in The Avenues. 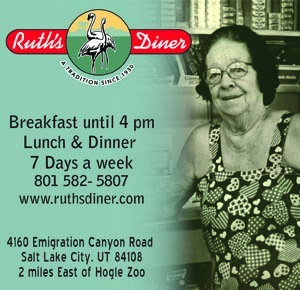 It’s a restaurant that has had a certain timely appeal since the day it opened. 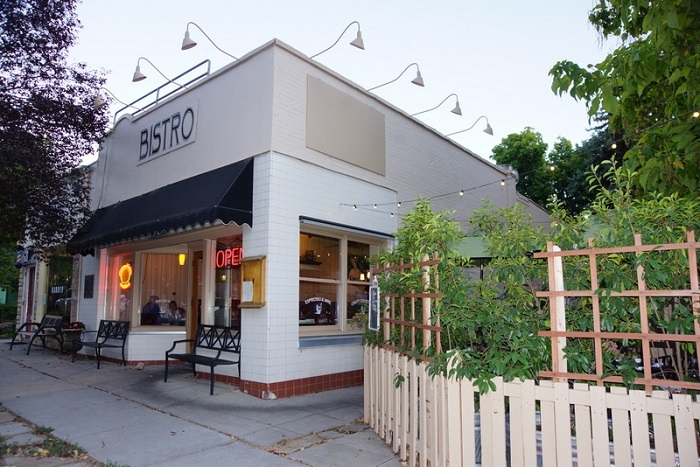 My opinion about that hasn’t changed, although the neighborhood eatery was taken over in December of 2017 by the aforementioned Michael Richey, who is Chef-Owner, along with his partners: Chef-Owner Steven Garner and Owner/Operator Scott Deseelhorst – a formidable team. The new owners remodeled the restaurant but don’t fret: It’s still the same charming and inviting neighborhood joint that you loved before. It just looks a little roomier inside and has been updated a bit. Gone are the high bar-style chairs along the dining room wall, which have been replaced by a bench the length of the room. In warm weather, the patio is still the place to be. While I always enjoyed my meals at Avenues Bistro in the past, dating back to its opening in 2012, the cuisine has never been better than it is right now. One attraction of this quaint restaurant is that you don’t have to wait around for the weekend to enjoy brunch. Avenues Bistro offers brunch from 10 a.m. to 3 p.m. Tuesday through Friday and a little earlier – starting at 9 a.m. – on weekends. During brunch a selection of salads is available – including the Bistro Cobb ($14) and Caesar ($11), plus a charcuterie assortment ($19), roasted eggplant and lentil bisque ($7), the house special mac and cheese ($10), and a number of sandwiches and breakfast items. The chilaquiles ($12) give brunch at the Bistro a south-of-the-border spiciness, while the Cuban sandwich lends a flavor of the Caribbean. There’s also the very popular (and deservedly so) Bistro Burger ($19) made with Akaushi Wagyu beef, Beehive Cheddar cheese, caramelized onions and Kennebec French fries. Idaho Rainbow trout & eggs ($17), a three-egg veggie scramble ($11), and eggs Benedict ($14) round out the breakfast/brunch menu. 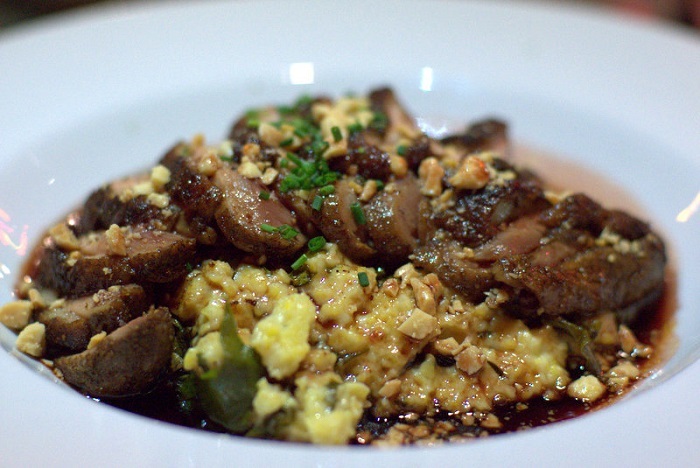 At dinner time, the Avenues Bistro menu expands and the offerings get a little fancier. It’s also a good time to start thinking about wine, beer and cocktails – perhaps something exotic like the Avenues Margarita, made not with tequila but with Wahaka mezcal, Aperol, lemongrass and simple syrup ($12). The wine list isn’t the biggest in town, but covers all the bases from sparkling wines to Bucklin Old Hill Ranch Ancient Field Blend red from Sonoma. 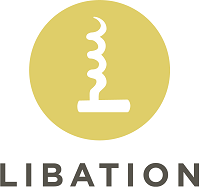 There are a lot of great wines to choose from the well-tended wine list. 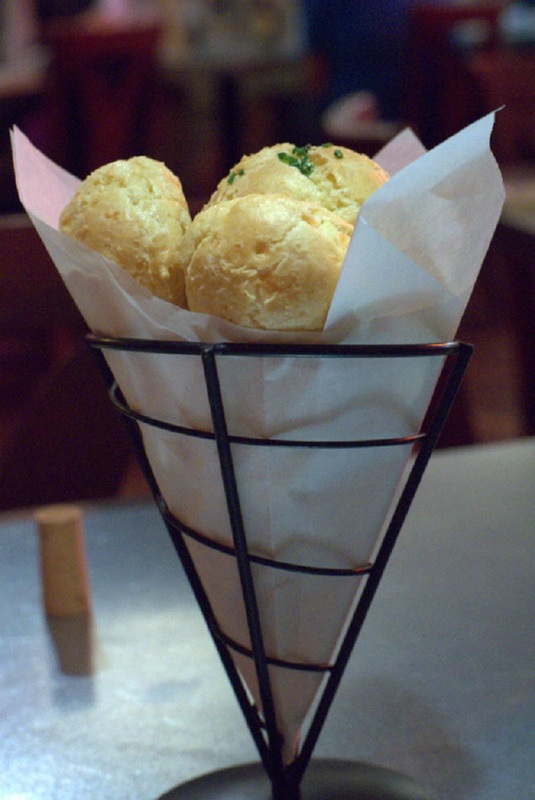 There are few food pairings that I love more than the cheesy, French-style puff pastries called gougères and crisp, sparkling wine alongside, and the combination of Avenues Bistro’s gougères ($6) and Adami Dei Casel Extra Dry Valdobbiadene Prosecco is an unbeatable one. 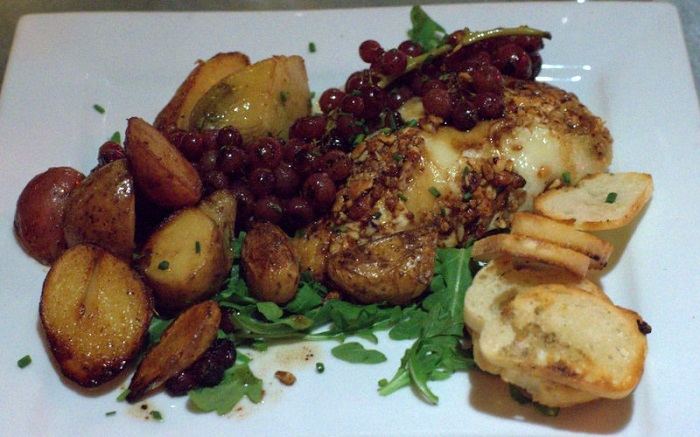 A stunningly great shared Avenues Bistro starter is the Warm Almond-Crusted Brie ($12). A big wedge of Brie cheese is hand-crusted with crushed almonds, baked to gooey perfection, and served with scrumptious roasted fingerling potatoes, tiny Champagne grapes still on the vine, and toasted baguette slices. We thought we’d died and gone to Paris – an exquisite way to begin a meal. I was a little bummed to learn that the rabbit pot pie had gone off the menu at Avenues Bistro. I know rabbit is a hard sell in this state … oh well. 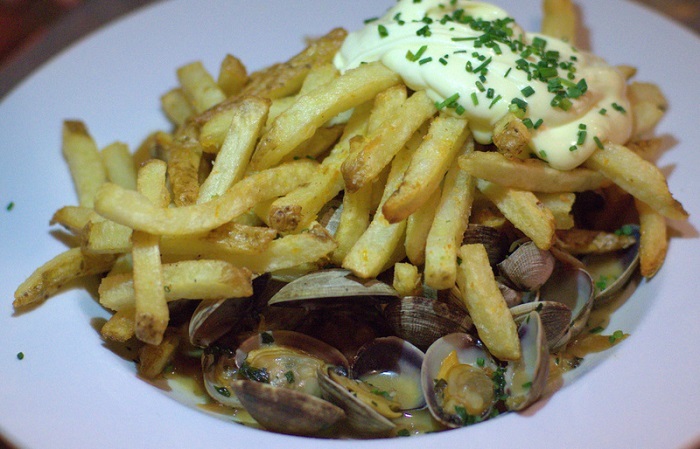 So I opted for an entree (or “Picnic” as main dishes are called on the menu) of steamed Manila clams with house-cut Kennebec French fries, served with a silky citrus aioli ($15). The clams were tender and plentiful – a terrific Bistro dish. My wife is now a confirmed citrus aioli addict. Torn between Trout Almondine and a duck entree, she wound up choosing the latter and was very pleased. The dish was a very generous serving of something like a dozen juicy, medium-rare slices of ras al hanout spiced duck breast on a bed of polenta and charred kale, with pickled cherry gastrique. The duck was divine. 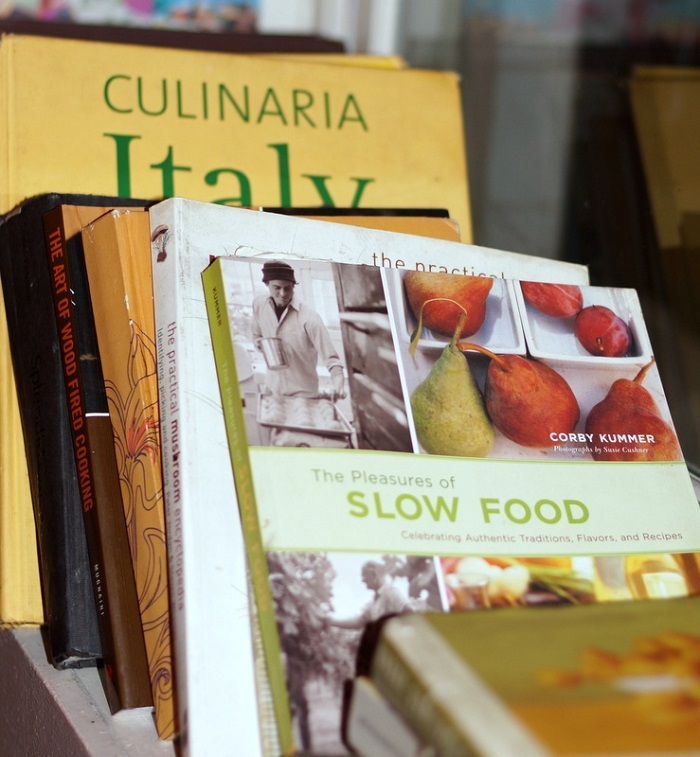 In keeping with the spirit of the original Avenues Bistro on Third, a bench near the front of the restaurant is strewn with well-worn cookbooks and the vibe from the outstanding service staff is friendly and welcoming, where new customers and old are all treated like family. It’s wonderful to see this venerable Avenues gathering place is maturing so beautifully.